Surraiya Jamal Sheikh – a dark plain looking girl whose voice tickles the memories and an actress who left her indelible imprints on our mental screens. She was the most graceful and best dressed lady of yester years’ silver screen. SURRAIYA – A name that needs no introduction, a voice that tickles the memories, an actress that left her indelible imprints on the mental screen and a graceful deity. Imagine a soft transparent evening, sitting alone in a pensive mood in the abstract silence of your apartment, watching the yonder sunset; a twittering bird hopping aimlessly on the branches of gold showering Amaltas and suddenly she is disturbed. She pulls herself together and sits silently outside your window. Down below, the bhaiya (brother) who was ironing the school dress puts on the radio and it plays: ‘socha tha kya, kya ho gaya….’ You know – Malika Surraiya is there, behind this magic, with her restrained emotive best from the filmAnmol Ghari. You become nostalgic; you yearn for something; you long for something; you miss something and you remember something. Surraiya Jamal Sheikh – a dark plain looking girl, the only child of her parents from Gujranwala, Punjab (now in Pakistan). She was born on June 15, 1929. Well versed in Persian and educated at Girls Night School in Bombay, she was introduced to film world by her uncle Zahoor, himself a popular villain and actor of his time. He took her to Mohan Studio, Andheri to see the shooting of Taj Mahal to be directed by Nanubhai Vakil. 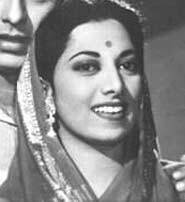 The director looked at her and gave her a break as heroine of Taj Mahal without screen test.Naushad heard her at a Children’s programme at All India Radio and introduced her as a singer inSharda in 1942. Very few know that she was not a trained singer from any gharana. Mehboob Khan spotted her talents and presented her as heroine in his classical films: Anmol Ghari (1945) and Dard (1946).KL Saigal took her fancy and recommended her for Tadbeer in 1945. He worked with her in Omar Khayyam in 1946.Surraiya had her most critical learning time with Sajjad Hussain, the elusive and eccentric music maestro who had given the polish to Noor Jehan’s singing style and Lata Manegeshkar had always referred him as her loving masterji who had taught Lata how to breathe during singing. He taught her how to make the correct pronunciations of Urdu words.Man mor hua matwala… the unforgettable song of Afsar still retains its freshness as it were the first day it was sung. 1947 to 52, was the golden period of her life. Noor Jehan and Khursheed Banu had left for Pakistan, Lata was still coming out of the tunes of Noor Jehan and Surriaya was reining supreme as highest paid actress and singer of Bollywood. She was an empress who did never allowed her subjects to touch her feet or come closer. Dev Anand was the only lucky man upon earth who had the access and as the story goes, offered her the ring. That ring was thrown into the sea of Marine Drive at the instruction of her grand-mother. Surraiya never allowed anyone to talk upon her personal life. She rarely attended the film parties and never gave interviews. She never married. She was the most graceful and best dressed lady of the silver screen. According to the film critics of yester years, no one had a best taste and connoisseur of jewellery than her. She was a very lonely, aloof and private character – just out of the Dicken’s novel. She maintained a safer distance as she died a lonely death in her palatial apartment at Marine Line on January 31, 2004, defining silently the rigid space even in her death. Iran is not a country of backward fanatics but a modern nation with 70 million people tightly sitting on top of world’s richest energy resources. Ahmadinejad is a courageous leader who had demonstrated his grit against the narrow partisanship of West IN THE aftermath of Iranian presidential elections, there are sporadic street protests and some youth are coming out against Nejad. West is cautiously busy in exaggerating the magnitude of these symptoms of discontent. Ironically, they hold no sway or say in Iranian affaires as their persistent support to anti-clergy-fifth columnists had completely isolated them and they have lost touch with the realities of present day Iran. They forgot that Iran is is one the oldest civilisations of the world. It is not a country of backward fanatics but a modern nation with 70 million people tightly sitting on top world richest energy resources. Courage, integrity, confidence, enthusiasm, vision and effective communication are the most sought after qualities in a leader. Irrespective of Western and Israeli’s propaganda, most the Iranians and Non-Aligned masses in the world consider President Mahmoud Ahmadinejad a courageous leader who had demonstrated his grit against the narrow partisanship of West and its blind, insensitive and misplaced support for Israel. He is the leader of the masses and darling of the guiding clergy of Iran. According to the Article 113 of ‘Constitution of Iran’, he belongs to the supreme leader of Iran Ayatullah Ali Khamenai. The West had never tried to peep into this somewhat complicated politico-religious hierarchy of Iran. They passed their judgments carelessly just upon the casual smattering of the system. They failed to understand the subtle difference between the rudderless, majority- is-always-right western democratic concepts and the guided-disciplined-principled-democracy that Iran is today. President Ahmedenejad claims that Iranian nuclear programme is for electricity generation and not for nuclear weapon’s development. Under his leadership, he refuses to end the nuclear enrichment despite United Nation Security Council’s resolution calling it to do. He argues that sanctions imposed by West over Iran’s nuclear enrichment are illegal and that Iran will continue to abide by ‘International Atomic Energy Agency’ monitoring of its nuclear programme. It is difficult to swallow the paradox that Israel, a country, which has usurped the Palestinian lands, a country which had from day one ignored all resolutions of United Nations and had committed worst offenses of human rights violations, is a civilised country and has every right to maintain the largest nuclear arsenal and no other country outside the elite club can dare to sneak into their domain. There are two statements, which are attributed to him, “Wipe Israel off the map” and “the holocaust is a myth.” According to President Nejad, these statements were made in Persian and their transliteration is incorrect. Noone in the West bothered to listen and give currency to the clarification he made: “No, I am not against Jews, I respect them very much. I’m not saying that the holocaust didn’t happen at all. This is not the judgment I am passing here.”He is a man of steely resolve who could break but won’t bend.It is also not the first time that this West fomented protest brouhaha in Iran is taking place. Way back in 1953, when the ‘Anglo Iranian Oil Company’, now ‘British Petroleum’, was refusing to share its financial records with Iranian government as it was fleecing the country’s oil wealth, the democratically elected government of Prime Minister Mossedeq nationalised it. An operation code named ‘Operation Ajax’ was hatched in American embassy in Tehran to destabilise the government. The plan failed and the tyrant ruler of Iran – Raza Shah Pehelwi fled to Italy. The West didn’t give up and again conspired against Mosaddq and finally affected the collapse of democracy. The Shah was brought back from exile. Weds of money had been spent to orchestrate the protests and long marches against Prime Minister Mosaddeq at that time. That is how these so-called defenders of democracy fared in Iran. “You have no right to complain, because you took our whole country hostage in 1953,” said one of the hostage takers to Bruce Laingen, the chief US diplomat in Iran at that time. He was referring the US backed coup against the democratically elected government of Prime Minister Mossadeq. The present protests would lose their pitch shortly as they are neither based on reason nor facts. Friendship between Iran and US would enhance American prestige in the world, which had been tarnished during the darkest days of Bush. President Obama knows that by and large world listens to what Iran says and he has to lend his ears if he really wants peace. The problems of non-resident Indians, include poor work and living conditions, which are at times worse than that of those who spend their life on the footpaths of Mumbai. HAVING SPENT more than two decades of my life in the West and the Middle East, I have had first-hand experience of the problems and aspirations of non-resident Indians (NRIs). Believe me it is never an easy life. You can divide NRIs into two broad categories. There is the creamy layer: the highly-educated and well-paid executives and businessmen, both in the West and the Middle East, who live in the lap of luxury by dint of their abilities and qualifications. Their problems centere on money transfer, purchase of real estate, setting up factories and businesses, and sometimes legal problems and sometimes even adoption. However, aside from their imperious airs and attitudes, they also face racial discrimination and insults in their adopted countries. Back home, their relatives and their government consider them treasure-troves. There is another lot of NRIs – the hapless, less-educated and helpless souls you may call ‘indentured labour’ or ‘contract labour’ who drudge through their lives in these Gulf countries. Death is never pretty but when it visits an expatriate in the Gulf, it is one hell. No one knows when the body will be cleared by authorities; when it will be out of the mortuary and when it will be buried or sent back. Let the readers know that at least half a dozen Indians die in the Gulf every week. There are many who are never paid on time and live in the worst possible conditions that would be beyond the imagination of even a person roughing it up on the foot-paths of Mumbai. Even sending home the money he earns, is a nightmare as there are long lines at money transfer counters. Many times the drafts are lost in post and everyone back home suffers. His job is based on the whims of the all-powerful Kafil or sponsor. He can be met with the worst of humiliations which he must stoically bear as embassy staff are usually beyond approach and indifferent. Even sickness is a dreadful challenge. Those who are in between the creamy layer and underdogs face a different set of problems. Their kids are discriminated back home and admissions are an uphill and almost impossible task. They are fleeced in the name of a legal NRI quota and exploited at every front. There are a number of women workers employed as house-maids and nurses. A plethora of tales can be gathered and epics could be written about the miseries and hardship they face in alien lands. They are sometimes even pushed into prostitution. The rehabilitation of NRIs is another serious issue as this simple pardesi loses touch with the ground realities of India – the Indian way of life and Indian way of communication. There are always cheats awaiting him right from the airport to his neighbourhood. Let the countrymen know that 90 per cent of total foreign direct investment comes from 20 million NRIs whose economic production equals that of one billion Indians. These unsung heroes of the Indian economy should be given their due representation in parliament as one way of assisting them in facing the problems I have mentioned above. I apologize to those expatriates whose problems I have failed to mention here. Cynics are also masters of sarcasm. They expect you to laugh with them when they poke fun at you. If you don’t they feel you have no sense of humour. They are competent to find fault in everything and everyone. “A GOOD friend is indeed an asset; a bad companion is a recurring liability.” Take care when you pick up your friend! There are people who excel the art of criticism; there are people who can pick hole in every velvet; there are people who didn’t agree the way you cried when your loved one died and there are people who won’t forgive the way you laugh. They are competent to find fault in everything and everyone. Present them a mini-replica of Taj Mahal and they would say: “It doesn’t inspire the same love as the real one.” Offer them a rose and they would ignore it and brag about the fragrance of lavender. Tell them you like Dilip Kumar and they would say that Guru Datt was a better actor. These cynics could be so pervasive that they would quench the optimist in the dull gray clouds of suspicion. They have a keen sense where to stick the knife; they would scorn and berate people without intention or purpose and obviously they lack direction. Cynics are also masters of sarcasm. They expect you to laugh with them when they poke fun at you. If you don’t they feel you have no sense of humour. There had been cynics in the field of art and literature also. To diffuse the cynicism and defeat their negativity we have to stand firmly to these bullies, showing concerns for gripers and communicating with them assertively. We should and must protect ourselves from negativity. We can influence and bring a little bit change in them with little patience and resolve; with acts of compassions, love and kindness. A bully is a bully because he is afraid. Love is letting go for fear. Best is to keep the cynic at arms length. 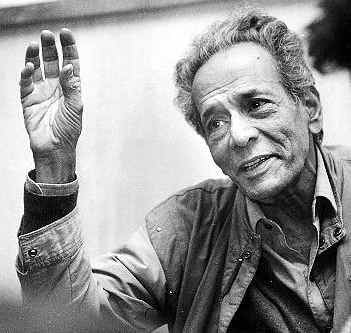 Habib Tanvir was one of the most popular Hindi playwrights, a theatre director, poet and actor. He is the writer of plays such as, Agra Bazar (1954) and Charandas Chor. He is most known for his work with Chhattisgarhi tribals, at the Naya Theatre. THINK OF Indian theatre and culture, the very first image that immediately conjures up is Habib Tanvir. He was a trail blazer, a pioneer in Hindi theatre. Like Gandhi Ji, for him the real theatre existed in villages. He started his literary career as a poet with a pen-name “Tanvir” and very soon graduated as full time playwright, director and actor. He loved challenges and difficulties and succeeded in overcoming them. Born on Sept 1, 1923, in Raipur (Bihar at that time) he did his BA from Morris college Nagpur in 1944, and MA from Aligarh Muslim University. His uncle used to stay in the interior of the Bihar and his regular visits to them brought him near to country folks which fascinated him. In 1945, he moved to Bombay and joined All India Radio (AIR) Bombay as a producer, while in Bombay, he wrote songs for Hindi films and even acted in a few. He also joined the Progressive Writers’ Association (PWA) and became an integral part of Indian people’s Theatre Association (IPTA) as an actor. He moved to Delhi and joined with Qudsia Zaidi’s “Hindustani Theatre.” This was one of the most important periods of his life. He met Moneeka Mishra, an upcoming actor-director, whom he was to later marry. The same year he produced the hall mark drama “Agra Bazar”. It was based on the works of 18 century writer Nazir Akbarabadi. In this play he used the raw talents from the Okhla village and student of Jamia Millia Islamia. It was a unique experiment is the sense that it was staged within the four walls of a hall but in market place, open bazaar. It was a great success and inspired him to experience further with Chattisgarh folk artists. “Chanrandas Chor” was one such adventure where the highlight was the Nach – A chorus, a narration through Chattisgarhi folk songs. His theatre has always been known for its utter simplicity in style, presentation and technique. Despite all that austerity his plays were eloquent and powerful with a deep story line. One could see the progressive glimpses of European fads intelligently blended with Indian values in his experiments. He was trained in Royal Academy of Dramatic Arts in London in middle fifties. In 1990 he took up the direction of “Zahreele Hawa” based on Bhopal Gas tragedy. 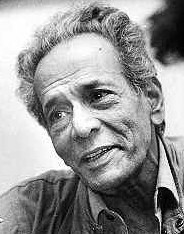 The doyen of Indian theatre died on 8 th June 2009 after a brief illness and the world of theatre lost a worthy son. She was a true British girl with a very methodical mind. We were together in a specialised institute at Oxford Street. Someone has said that fiction, as it does come from imagination of some fellow human being, does not have the same attraction. PAST THE Big Ban, past the West Minister Bridge, take a left turn and down few steps – you are at the Queens Way. The very first thing you notice is the poem of an unknown poet inscribed in the middle of the road on the cobble stone. Marks of weakness marks of woe. The mind-forged mangles I hear. That was the placid and pleasant spot where Rose Mann had invited me to spend our last evening in London together decades ago. She was a true British girl with a very methodical mind. We were together in a specialised institute at Oxford Street. Someone has said that fiction, as it does come from imagination of some fellow human being, does not have the same attraction, because it is not true. To me truth is more appealing than fiction. Rose was a milky white brunette from Sussex and I was a sallow complexioned boy from Bombay. For some unknown reasons we developed liking for each other. One day she quoted someone that when the oak tree is felled, the whole forest echoes with it. I refuted her argument by quoting the same writer – a hundred acorns are planted silently by some unnoticed breeze. That argument sealed our friendship and she invited me to join her at Hyde Park’s Speaker Corner next Sunday. Days and nights went by in London as the time got wings. We didn’t know how far we had traveled till one day she asked an unexpected question – “Why do we care for each other so much?” I wanted to reply that because we love each other. I had lost my bearing with that question and I said that I didn’t know. I was nervous and perspiring that moment in that cozy winter day. She was somber and composed. “I shall tell you. You love me and want to marry me.” There was a pause after that. I found no courage to pursue the subject any more. However, every Sunday she would come from Sussex to Turnham Green accommodation. We would spend the time together till 4 PM at any place of our predilection. Tempus fugit and the day arrived when I was going back to India with my Certificates minus Rose Mann. “Would you like to join me at Queens Way, just on the other side of Thames?” She had invited me in unique British style that was exuding her superiority. It was an order that must be obeyed. “I am ready to go anywhere you want.” I replied but my self-confidence was badly missing. That last rendezvous was fixed by Rose. I reached the corner of West Minister Bridge and she was there to welcome me. She had a shining packet containing a set fountain pen and ball pen. “Rose, I got nothing for you as I could conceive nothing which corresponds your excellence.” I said. “I want nothing. Just remember me.” She said in respectable tone. We talked upon many subject including our future life. It was the first day and first time when I had tried to go fast on Rose. “How do you feel as I am departing?” I asked. Jahan Ara Begum – the eldest daughter of Shah Jahan and Mumtaz Mahal, can be seen as world’s first women’s right activist, who fought for human rights and the liberty of women. She was also the First Lady of State during Moghul regime. LONG BEFORE the emergence of Gloria Steinem as women’s right activist and the coherent concept of liberation of women, there was a princess who had fought for human rights and liberty of women. Her name was Jahan Ara Begum – the eldest daughter of Shah Jahan and Mumtaz Mahal. She was born on April 2, 1614. She was well versed in all branches of knowledge of her time. Her father had trusted her and considered her as one of the wisest adviser. She was only 17 when her mother died. The royal court accorded her the title of First Lady of State and she had successfully brought out the emperor and the state from the shock and mourning of Queen’s death. 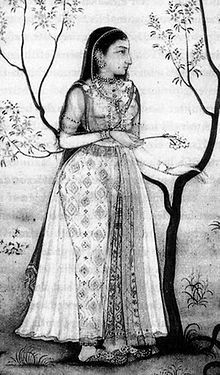 During the struggle of power between Mogul scions, she had promised her support to Prince Darah Shikoh with one condition that he would repeal the inhuman order of disallowing the royal princess from marrying – a law initiated by Akbar. It was unfortunate for the country and for Jahan Ara both that Dara was defeated. Aurengzeb, as a shrewd strategist, did mend his fences with the elder sister and restored her title of first Lady of State. This title was taken back from her and given to Roshan Ara Begum, her younger sister. Despite cordial relations with Aurengzeb, she preferred to stay in the prison of Agra Fort with her father till his death. Jahan Ara agreed to give her support to Aurengzeb with only one condition that he would not levy the Jazia – the poll tax on non-Muslims. She had boldly argued the case and forced Aurengzeb to rescind that. She had contributed in her own way in designing and developing the landscapes of Shah Jahanabad (Delhi) and Agra. Chandni Chowk in Old Delhi and Jama Masjid of Agra are her gifts to Indian history and public. She was the devout Murid (follower) of Nizamuddin Aulia and used to clean his grave with her silky hairs. She died peacefully on September 16, 1681 and was buried in Nizamuddin Dargah complex.